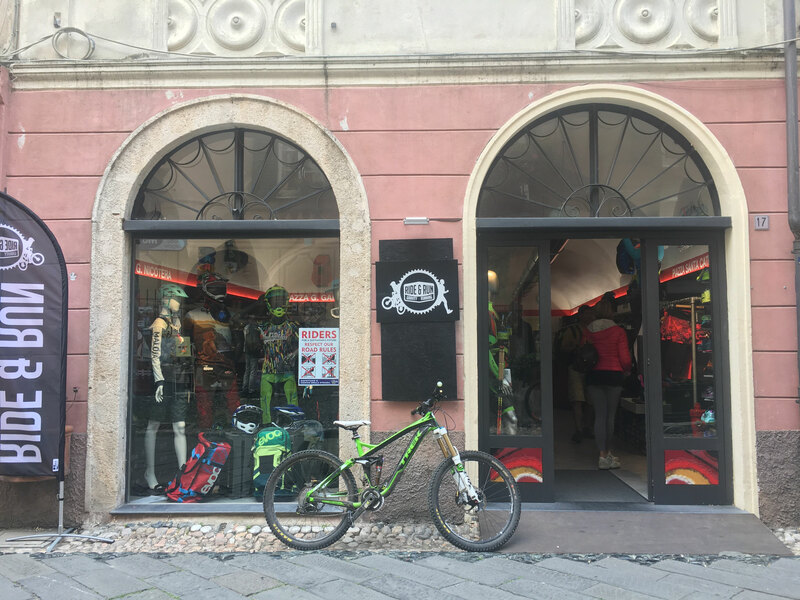 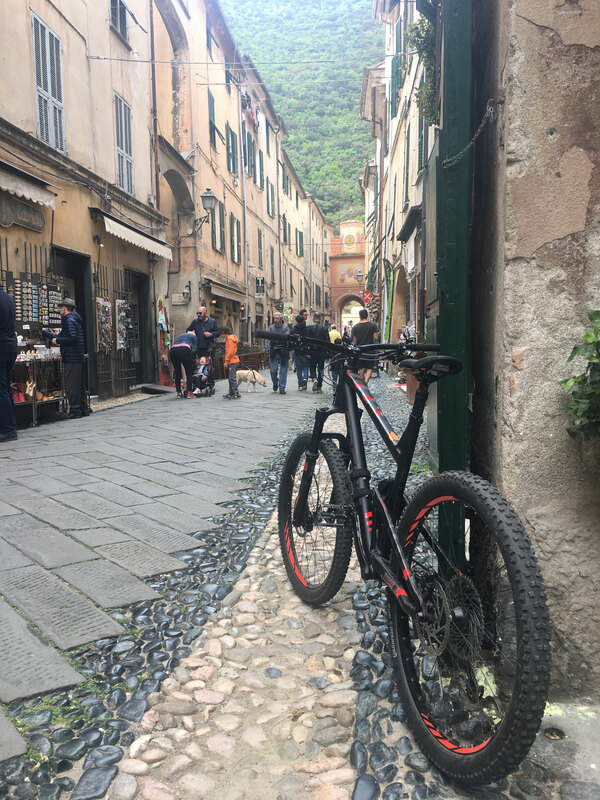 But it´s not only freeriding and downhilling that makes Finale Ligure and Finalborgo the place to be. 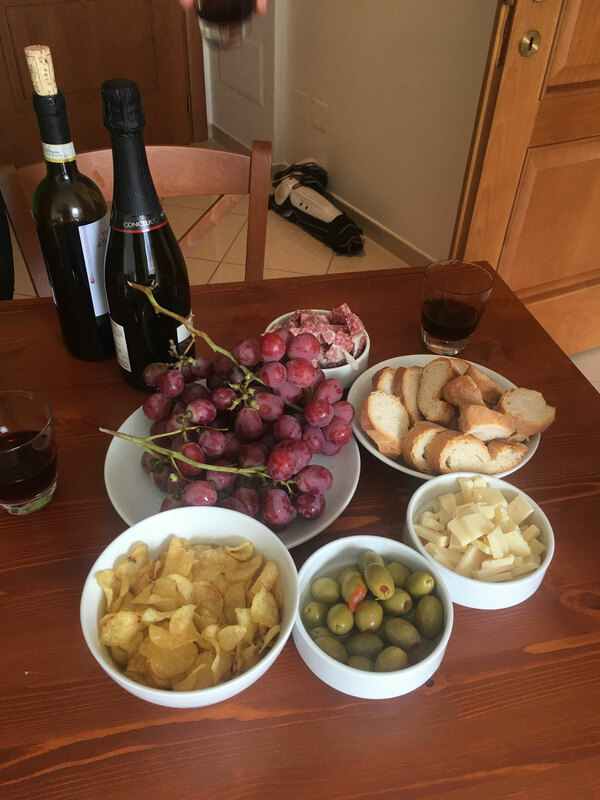 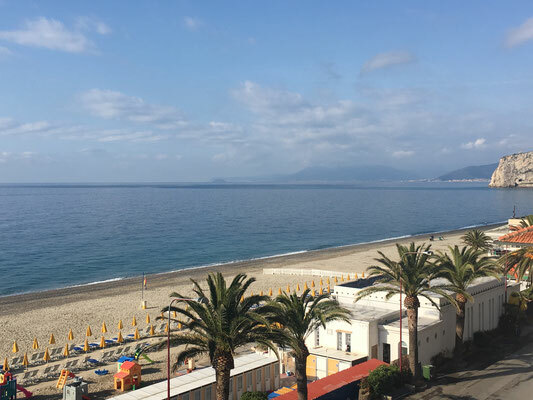 When there is still some snow in germany, austria and the north of italy you can enjoy the first warm sunny days here on the coast line of the mediterraneon sea, eat delicious regional food or having a wonderful glas of white or red wine. 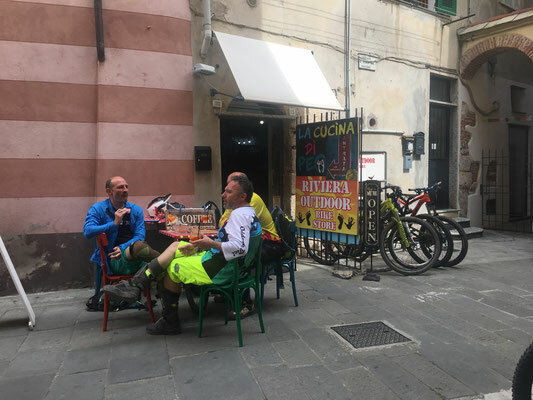 And it is mandatory to stand in the queue in front of Bar Centrale, to get two or three bowls of the best italian ice cream in town. 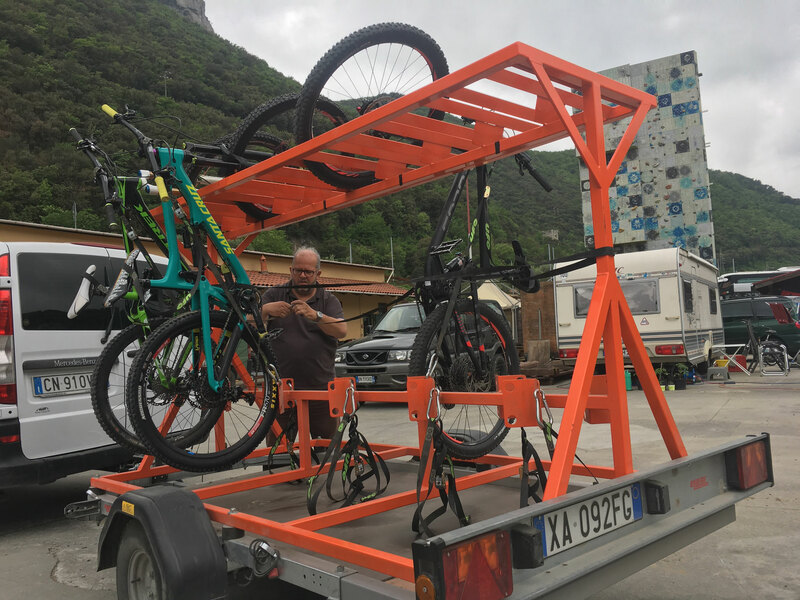 Usually the day starts for us with a 10 minute ride from our appartement in the LIDO RESORT near by the beach to one of the many bikeshops that offers shuttle bus rides for 10 € to the moutain peaks in the backcountry. 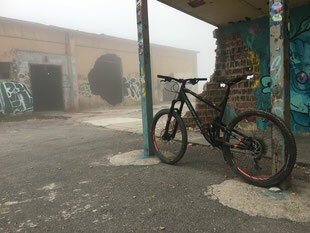 On our first riding day we started two times at the former NATO Base. 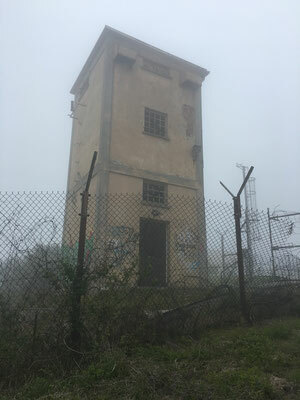 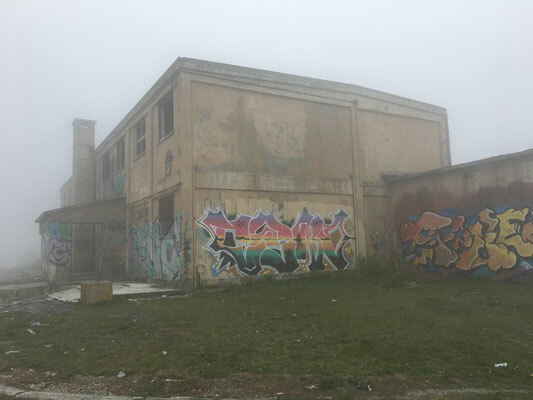 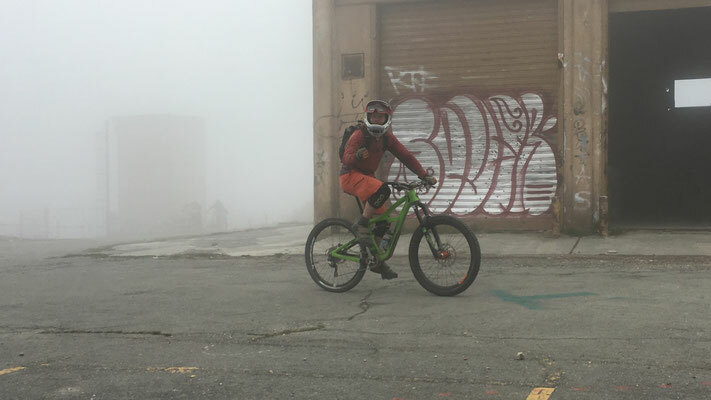 The fog up there created a mystic scenario also because of the empty military buildings. The two trails that start up there are the Sentiero H and the Base NATO. A lot of other riders joined us at the start spot but because of the different lines that brings you down into the valley you are almost alone after start diving into the forest. 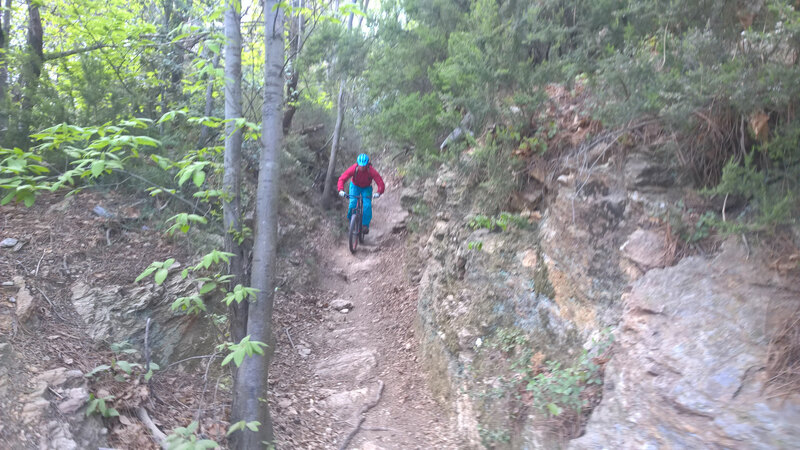 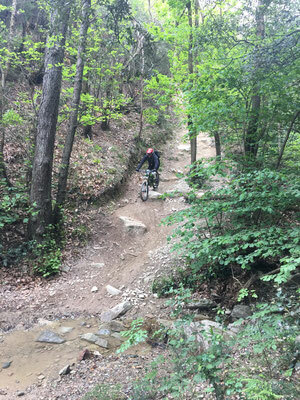 We had a smooth beginning with some flow trails but then we faced really challenging steep rocky sections. 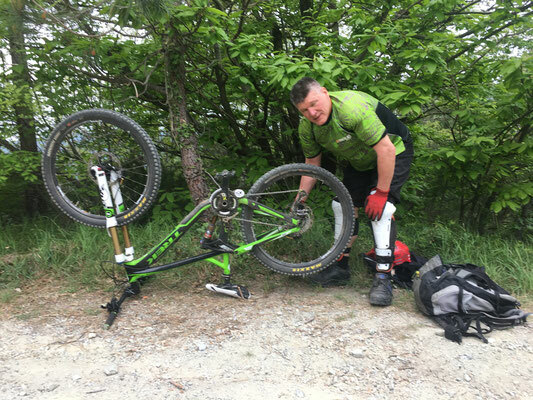 A flat tire stopped us but after having fixed it we finished our first riding day and filled our empty stomachs with the best things we can get.